A personal, no asset bankruptcy is know as Chapter 7. For this type of bankruptcy, our clients keep all of the assets they want to keep (home if it qualifies, motor vehicle, personal property, clothing, etc.) and discharge all their consumer debts. The attorneys at Burns & Jain work with you to determine that all of your assets are kept protected from the creditors. We also work with the client to determine if they qualify for bankruptcy protection. Once the client hires us, and supplies us with the documents we need, we prepare all of the paperwork to complete the Chapter 7 Petition and Schedules. We forward them to the client for review and signature. When finalized, we file with the Bankruptcy Court electronically. Thirty days later there is a hearing before a Chapter 7 Trustee. This is called the Creditor Meeting or 341 Hearing. Creditor Hearings usually last only a few minutes. Our clients are prepared to testify to the questions the Trustee has. We accompany all clients to the Creditor Hearing. Sixty days after the Creditor Hearing the debts are discharged by federal law. What debts can not be discharged? What documents do I need to provide PRIOR to filing? What is the Financial Management Course and when do I have to complete it? What happens after I provide all my documents and finish the “class”? Where is the meeting of creditors held, and how do I get there? What happens after the 341 Meeting of Creditors? Do I need to do a second class? When will I receive my discharge notice from the Court? Why should I retain a lawyer to file bankruptcy? One of the leading causes of bankruptcy, even in Massachusetts, is medical bills. For example, in the horrific cases where our clients’ vehicles have been struck from behind by a truck there can be catastrophic injuries. Unfortunately, you did not have medical insurance and there are medical bills that cannot possibly be paid. In addition, there is not sufficient insurance for pain and suffering, or sufficient Underinsurance. Furthermore, you may be out of work for months or longer. PIP insurance will cover up to $8,000 in medical expenses in such as rear end collision, but the money is insufficient and perhaps you used credit cards to try to make it work out. Many folks fall behind on your bills and need help. This is a far too common situation and one that we see from time to time. Call us for a free initial consultation and we will show you how we can help get you the relief you need. Chapter 7 bankruptcy may eliminate most kinds of unsecured debt. Some examples of unsecured debts are credit cards, medical bills, most personal loans, judgments resulting from car accidents, and deficiencies on repossessed vehicles. In addition, you can discharge any outstanding balances after a home was foreclosed upon. In addition to getting rid of your debt, you typically can keep all of your property. As long as your car and mortgage payments are current, and there is no significant equity in your property, we should have no problem making the arrangements for you to reaffirm the debt. Keep your home, keep your car, keep your personal belongings, but eliminate your debt; that is our goal. Most federal and state income taxes. However, if the taxes are more than three years old, and other criteria are met, some taxes can be discharged in bankruptcy. Debts incurred by fraud (i.e., debts incurred without the intent to repay or debts incurred by use of a false financial statement or other written document). Debts incurred by willful and malicious injury, fiduciary misconduct, or embezzlement. Criminal fines, traffic tickets, and criminal restitution. Child support, spousal support, and monies owed under divorce decrees. 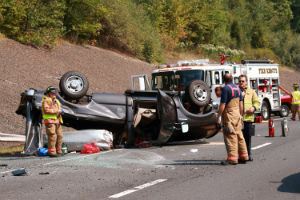 Personal injury or death caused to others while driving under the influence of alcohol or drugs. Make an appointment! During the initial consultation in our office we will ask you a series of questions from a checklist to determine whether you qualify for a Chapter 7 bankruptcy. We will review your income, assets, and debts. We will need to know about all of your assets to determine if you have any non-exempt assets. However, well over 95% of Chapter 7 cases are called “no-asset” cases, meaning that there are no assets to distribute to creditors. 7. credit counseling certificate, see below. What is the Credit Counseling Course and when do I have to complete it? Every debtor must complete a Credit Counseling Course prior to filing the Petition and Schedules with the Court. You can do this by using the web – go to www.mab.uscourts.gov for a current list of approved credit counselors. We can also provide you with an updated list, phone numbers and web sites. You will need to take a second “course” after the Trustee Hearing. You will need that certificate of completion to complete the bankruptcy process. They will charge another fee for this. This class is called the Financial Management Course. In Chapter 7, a trustee is appointed by the Court to oversee your case. The Chapter 7 Trustee has the responsibility to determine if you have any assets that are not considered exempt under the law, sell such assets, and use the proceeds to distribute among creditors. We will send the Trustee payroll verification and a copy of your recent tax return. The Trustee may request additional documents, such as bank statements, credit card statements and your credit report. Approximately 30 days after the filing of a Chapter 7 case, the debtor is required to attend a brief hearing with the Chapter 7 Trustee called the “meeting of creditors” or the “341(a) hearing.” At that hearing, which usually does not exceed 5 minutes, the Chapter 7 Trustee will ask a series of questions to find out if any non-exempt assets exist, or if there are any legal issues or problems with the case. Approximately 60-75 days after the hearing, the Court issues a notice through the mail indicating that debts have been discharged. The creditors’ meetings are held in federal buildings in the downtown areas of Boston, Brockton, or Worcester, depending on where you live. We will provide you with the address. Yes, an attorney from our office will always be with you at the meeting, although it may not be the attorney you met with for the initial consultation. The attorney will have reviewed your file thoroughly prior to the hearing, and will meet with you shortly before the hearing to answer any last-minute questions. Proof of identity, such as driver’s license or DMV identification card, and your Social Security Card. At the meeting of creditors, the trustee will ask a series of questions almost identical to the checklist used in our office during the first consultation with the attorney. The trustee is looking for non-exempt assets or to identify other legal issues in your case. In virtually every case, any of those issues will have been previously discussed with you by one of the attorneys. Creditors are permitted to attend the meeting and ask questions if they wish. Few, if any, of the creditors actually attend. The Trustee finishes evaluating your Petition and sometimes asks for additional information. Yes. You need to take the “Financial Management” class. You can go back to the same folks where you took the first “class.” This second class needs to be completed so we can send the certificate to the Court. A notice of discharge is issued by the Court 60 days after the conclusion of the meeting of creditors. If you do not receive it after 75 days, please contact our office. There is no magic formula to reestablishing credit after a bankruptcy filing. A bankruptcy filing remains on the credit report for ten years, and, despite what some unreputable “credit repair” agencies may claim, cannot be removed until the ten years have elapsed. However, once a discharge is entered, the person generally can obtain an auto or even a home loan immediately. The creditor may charge a higher interest rate. While the Court does not require that a lawyer represent you, it will make the process much easier. It also may save you money. Any mistake that you make in filing your bankruptcy petition and schedules could be costly. Finally, most bankruptcies involve some planning. Sometimes real estate issues are involved; sometimes it’s the estate of a family member; and sometimes its retirement accounts. An experienced bankruptcy lawyer will guide you through the process and help you protect as many assets as you can.